I have always been a big advocate of a healthy, balanced lifestyle. My time as an Olympic athlete taught me many things about my body, but the thing that sticks the most is always being physically and mentally sound for peak performance. Part of balanced lifestyle to me means ensuring that you are training to get stronger as you get older. As we grow older, we begin to gradually lose muscle mass. Strength training is crucial for everyone, from all walks of life, to help counteract muscle atrophy (wasting). The benefits are many, all of which will result in an improved quality of life as you grow older. Why grow older and weaker when you can grow older and stronger? Training specific to your goals is crucial for development. 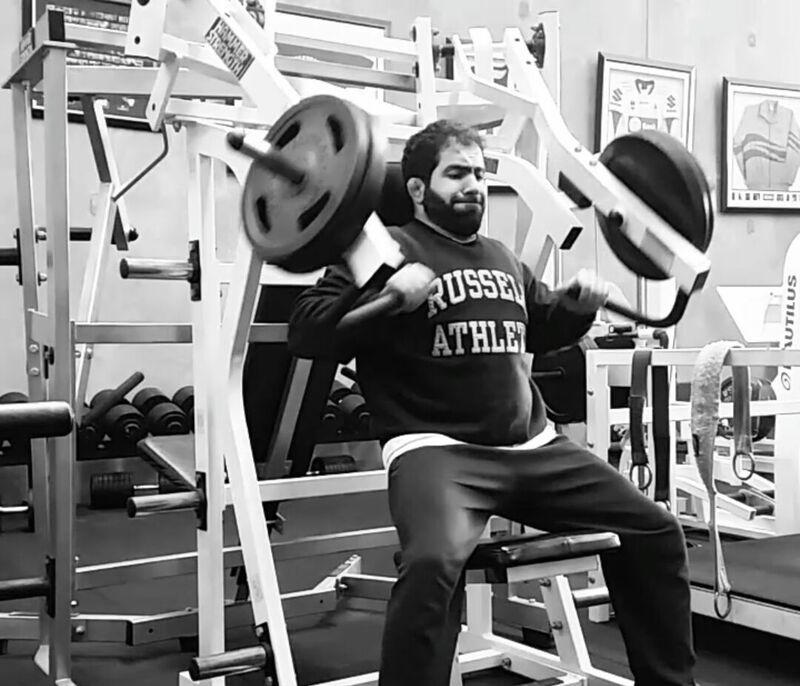 Strength training specific to my sport allowed me to compete at the highest level possible. Not only was I able to compete at three Olympic Games and a Commonwealth games but it also reduced my risks for injuries. Strength training is not just for athletes though. I have always stressed that it is for young, old, and everyone in between. Unfortunately, we often see gimmicks and advertisements that claimed to have ‘unlocked the secret’ to training and getting strong and fit fast. In truth, there are no such secrets. The best components of health and fitness have been taught and practised for hundreds of years. Be consistent, implement specific programs to what you want to achieve and ultimately you will achieve your goals. But remember, there are no shortcuts, and sometimes injuries are unavoidable. It is how you respond that counts. The right rehab program and following the right protocols to recovery will ensure you get back in action with confidence. Many patients over the years have come to me with re-occurring injuries. There are a few reasons why this occurs, but one of the primary causes is when your practitioner issues symptomatic treatment, rather than treating the underlying cause of the injury, when in fact it is treating the underlying cause that is most important. That is why I try to listen to each of my patients, as every individual is unique, and figure out where these issues may be stemming from. Treating the root cause results in a much better outcome, improved recovery rate and reduces the risk of injury in the future. A common example of this is something I see in many footy players, who repeatedly strain/tear their hamstring/s. I recently had an elite level footballer come to me, who had been suffering from ongoing hamstring issues. Previously he had been receiving regular treatment at the sight of the injury (i.e. hamstring massage) and had been regularly stretching before and after exercise. Because he had been treating his hamstring symptomatically, tightness persisted and his hamstring strength was deteriorating. Rather than treat the hamstring directly we identified tightness in the hip flexor (primary muscle for kicking) that had caused a gradual breakdown in the gluteal muscle (buttock), all of which was placing undue stress on the hamstring. By identifying this, we were then able to treat the primary cause of his injury and alleviate hamstring tightness almost immediately without actually touching the hamstring. Our approach was to release tightness in certain muscle groups while strengthening other specific areas, ultimately restoring muscular balance. If you are suffering from hamstring and other lower limb, muscle related tightness; it is often the sign of an underlying issue, not just at the site of where your pain is present. Take home message – the site of pain is not always the cause of the pain. More often than not the cause is somewhere else, as was in the just mentioned. Specific strength training programs that carry over into your chosen sport/activity will condition your body and strengthen your muscles to endure the demands and reduce the risk of injury.